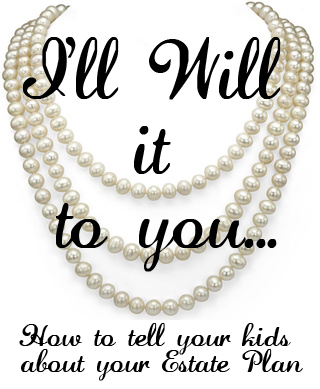 We’ve all seen the happy little Grandma in a movie scene, sitting with her darling granddaughter who is drooling over her precious pearls and heard Grandma tenderly say “I’ll Will it to you Janey dear.” Some of us have probably even been told we will be “willed” something by our own parents or grandparents. Hearing this as an adult, we’d assume that when Grandma or Grandpa’s time on earth expires, we will get that item free and clear because they “willed” it to us. Since most people do not itemize every single item in their possession, when push comes to shove, Janey dear may end up fighting cousin Sally for Grandma’s perfect pearls. We’ve also all seen the classic TV or movie scene where soon after a tearful funeral, family members each get a letter inviting them to come meet with a stiff necked lawyer to “reveal” Grandma’s will. Bankrupt son Kevin sees this as his jackpot, finally a way out of the financial hole he’s dug himself, only to find out that she left him a “priceless” gift, a note with life lessons on it, and left all her assets to the Humane Society. 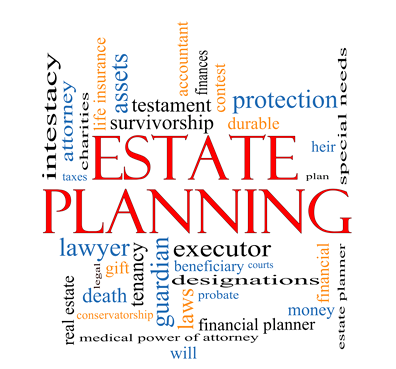 What to tell: At a minimum parents should tell children where the Estate Planning documents are located and who the key advisors are, including the attorney, accountants and financial advisors involved. Parents should then remember that if there are unequal bequests or if they have made arrangements with one particular child, it is the parents’ responsibility to explain their reasoning to the other children. How to tell: Most families find it best to gather adult children and have a conversation all together. Sometimes these conversations are best facilitated by a third party like an attorney or other involved professional party. 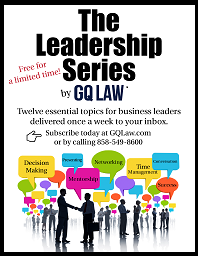 Special Circumstances: If there is a family business to consider or special needs in the family (i.e. disabled children or family conflict between siblings) parents may want to consider additional family discussions to make sure decisions and desires are clear and that nobody is blindsided by the Plan upon the death of the parents. What not to tell: Its best to avoid sharing specific financial information with regard to the Will and Trust because often times the amount of assets in the trust is greatly depleted by the time the parents go. This also allows parents to keep some autonomy in their lives. 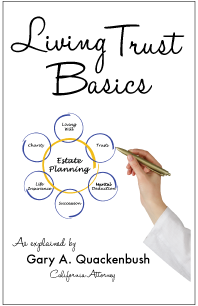 To read the full article click here and to get your complete Estate Plan set up or updated, contact our office at 858-549-8600 where our experienced staff are here to help! Attorney Gary Quackenbush and his team have been helping people with all aspects of Estate Planning since 1988 and are ready to help you and your family too. This information is not intended as legal advice and does not substitute the council of an Estate Planning professional. Please contact our office today to set up a free initial consultation and allow us to advise you on your particular situation.